How To Be Chic In A Shabby Way! 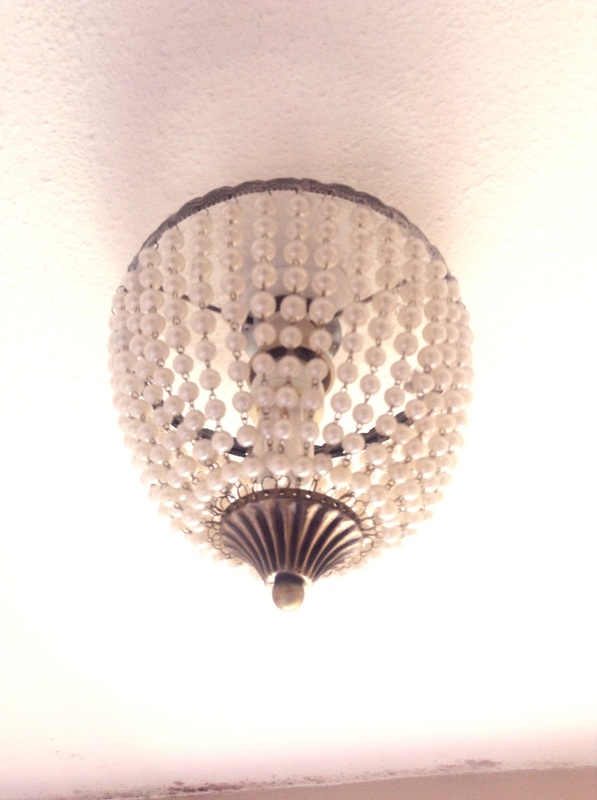 I love me a bit of shabby chic, my bathroom and loo were always destined for a faded glamour look, and to be honest it was easy to put together……. But then what are we going to cover the windows with? 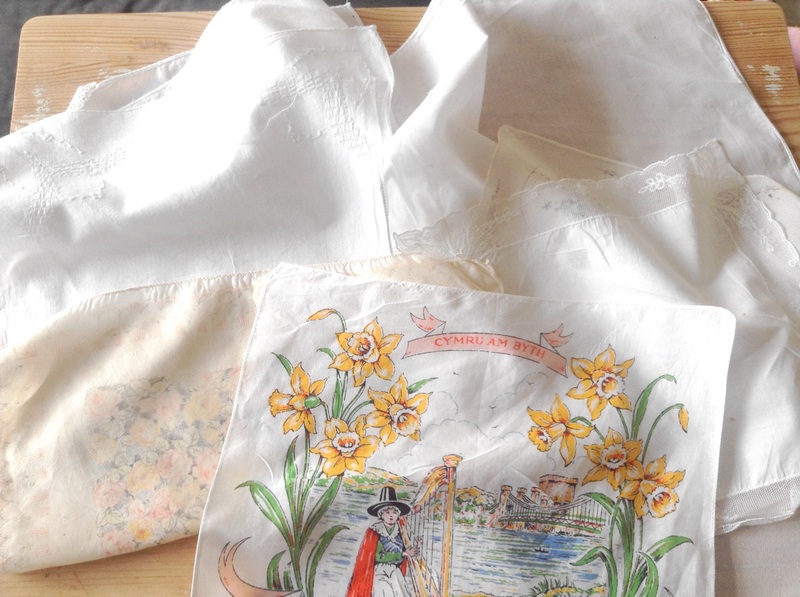 I had seen various panels on the net that used vintage material or handkerchiefs, as I am not the best with needle and thread and somewhat worse with a sewing machine here is my version of a vintage panel. 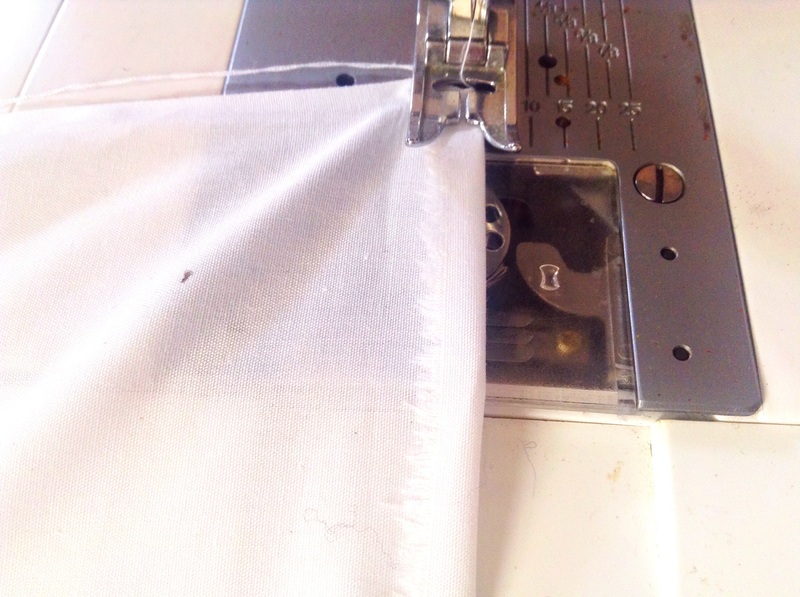 Then a piece of lightweight material roughly the size of your window, if you want it to hang flat, be more generous if you want a more gathered look, allow 2cms for hems on the sides and bottom and 4 cams at the top to make the channel for your wire or curtain rod……. 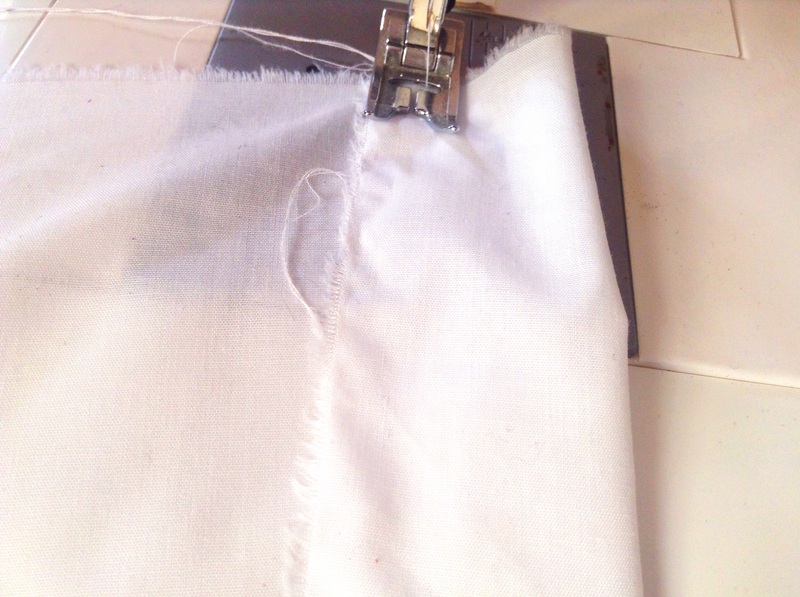 Start by hemming the sides and bottom, I do a simple hem, you can make it neater by turning a small hem of 1/2 cm and then turning back again………. 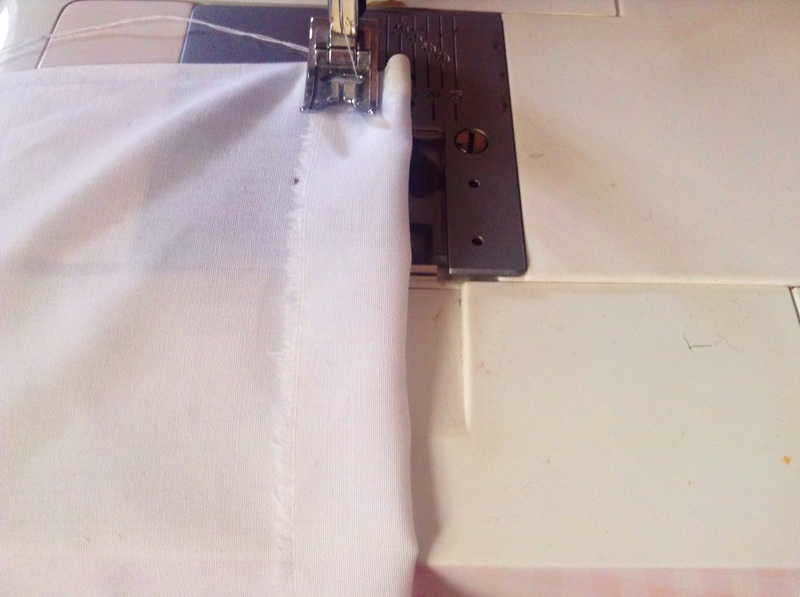 The top needs a channel for your wire or rod, again either make a simple one just by turning up or by doing the small hem and turning it back again…. 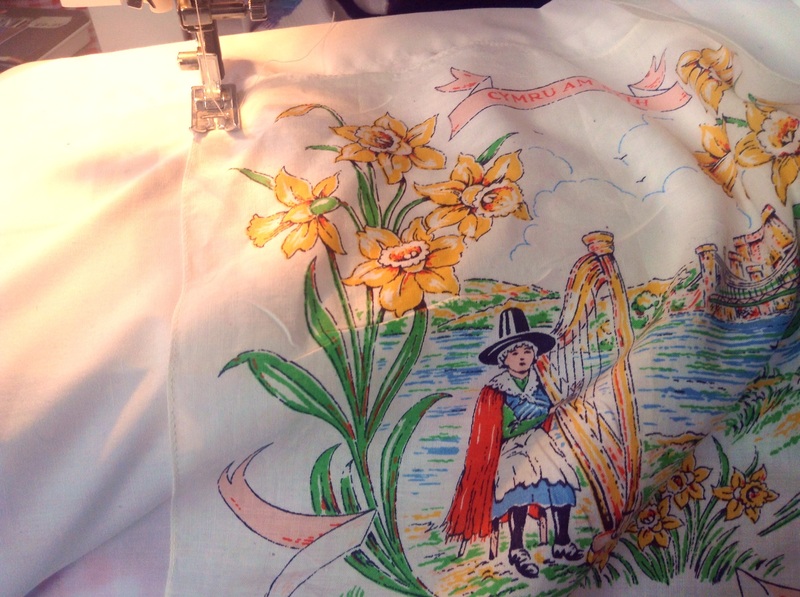 Now you have your panel, simply stitch each hankie to the material, you can pin and arrange neatly or take a more relaxed approach, guess which one I do 🙂 ……. 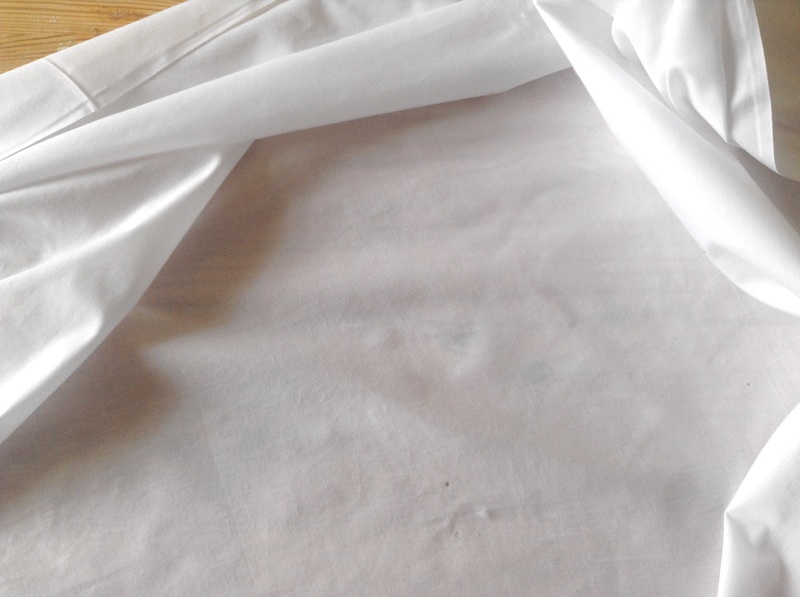 Keep going until the panel is covered and you will be left with a panel that looks like a gorgeous piece of patched and well loved vintage fabric…….. So there we go, falling off a log simple and cheap as chips! 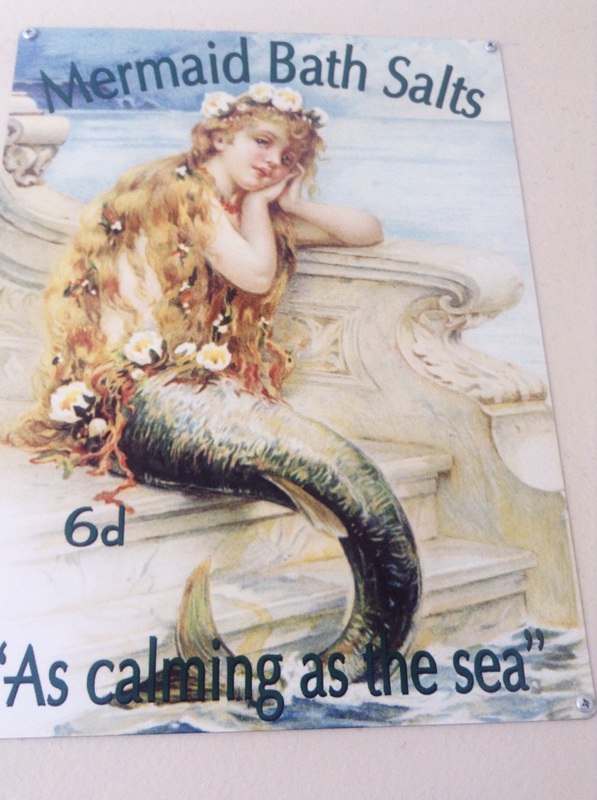 Next week I will show you round some of my favourite vintage shops in Brighton. 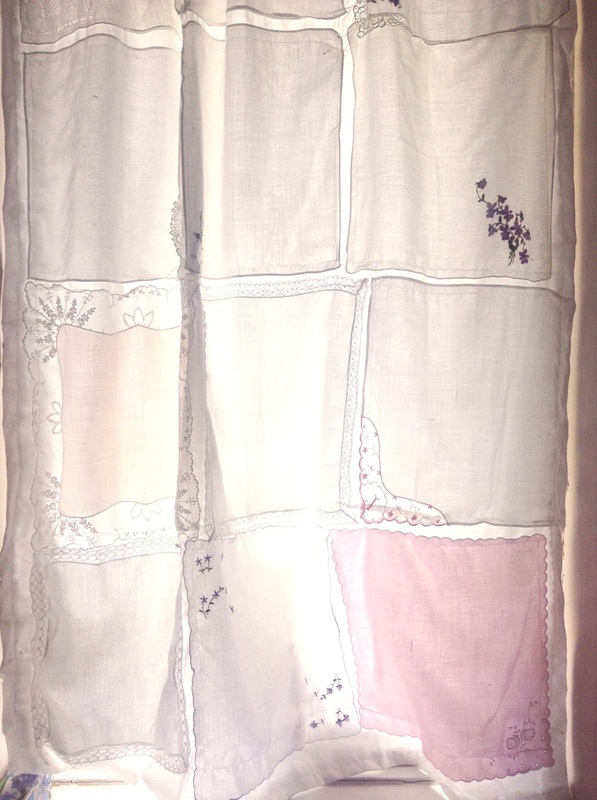 This entry was posted in Uncategorized and tagged curtain, diy, hankies, panel, shabby chic, tutorial, vintage by karenlorenz. Bookmark the permalink. Ooh, this is gorgeous, what a clever idea!